A Jillian Vance Design: I'll Always BE-LEAF in You! I'll Always BE-LEAF in You! Happy Wednesday!! I have another fall card to share!! 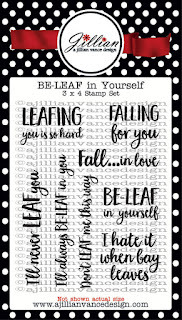 I just can't seem to get enough of that super fun BE-LEAF in Yourself stamp set! 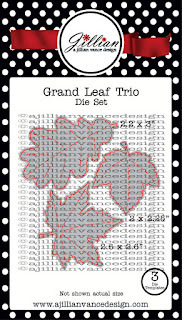 I also used the one leaf in the Grand Leaf Trio die set that I had not used on a card. I'm still on a mission to use up my patterned papers and I made another small dent with this card. I used more papers from Webster's Pages for this card. I die cut the leaf from the floral paper and then because the leaf has these stitched lines in them I used those to create hill and valley folds in the leaf to give it dimension. 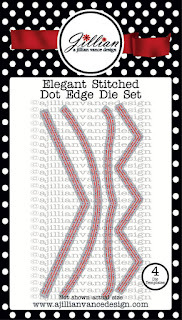 The woodgrain paper was die cut with the largest Stitched Dot Rectangle die and then one edge was die cut with one of the new border dies from the Elegant Stitched Dot Edges die set. 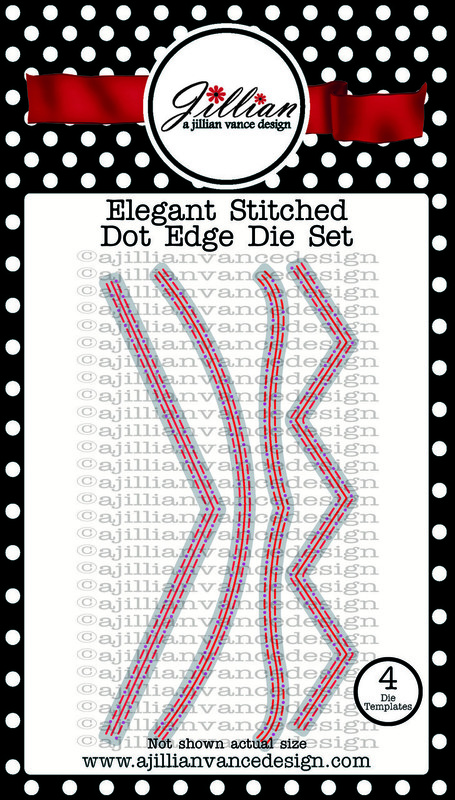 I have wanted a border die set like this for ages and I am so happy that AJVD came out with their version!! I had thought I would stamp the sentiment on the card base, but after doing a test stamp on a scrap of the patterned paper and seeing that the sentiment would be visible I decided to go ahead and do that. To get a nice, solid impress I used my mini MISTI. Once that was done I adhered the background piece on the card base, added the leaf and the little twine bow. 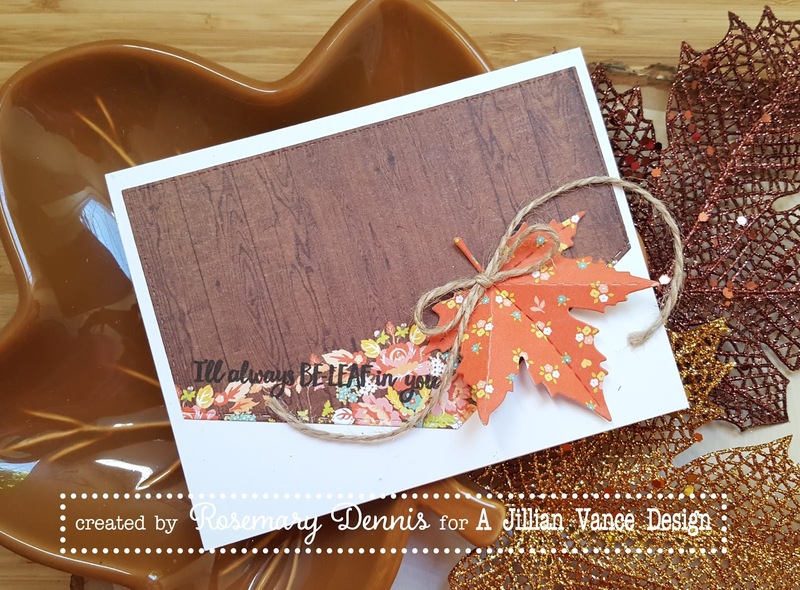 The current challenge at Time Out is Autumn with a twist to make your card in ten minutes or less. I didn't keep track of how long it took me to make, but it definitely fits the autumn portion of the challenge! I love that gorgeous leaf!!! Fabulous dimension in your leaf, Rosemary, and I love the patterns you combined!! I told you I already love this! What a fabulous use of patterned paper Rosemary. And I love the dimension you added to that pretty little leaf! 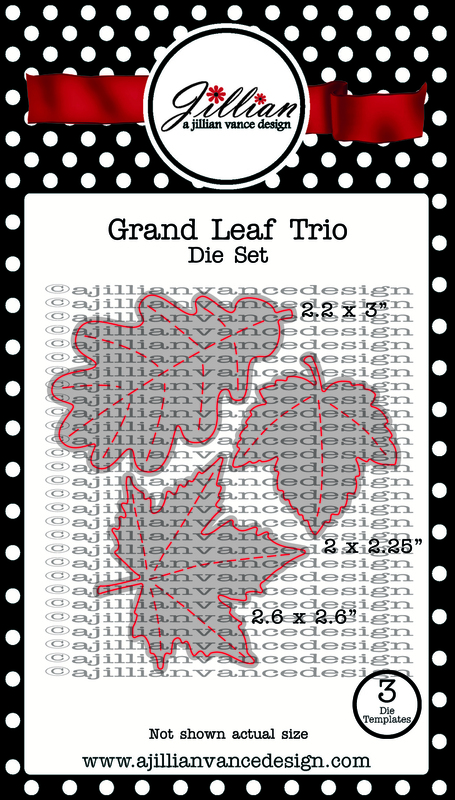 Great new edge dies set & beautiful Fall card, Rosemary! I have such a time using my patterned paper, but you are a master! Think I have something with a design like you used for the background, so if I can find it may actually use it! Rosemary, this card is just gorgeous! Love the new edge dies. I think they are going to have to find their way into my crafty stash!